Former Radio 1 and Century Radio presenter Clive Warren has joined Metro Radio to host the mid-morning show. Other changes include Dan Wood joining for weekend breakfast and a new Back to the Future music hour weekdays from 2pm. The changes to Metro's weekday schedules mean the long-running Tony Horne In The Morning breakfast show now finishes an hour earlier at 9am in favour of a non-stop music hour. Commenting on Twitter in defiance of the management's decision to shorten his show, host Tony Horne said: "I predict we will be begged back in about 18 months. That's all I will say." Brian Moore continues on drive-time and Alan Robson on lates. 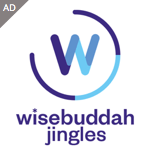 The station has also launched a new jingle package from Wise Buddah. Chris Pegg, Metro Radio Programme Director told RadioToday.co.uk: "These are exciting times for the station and I am confident that 2010 will be another successful year for us."